the kitchen table blog: RUNNING THE ROCKPILE: The Maine Event! Announcing RUNNING THE ROCKPILE's inclusion into the Portland Maine Film Festival!! 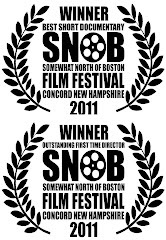 Screening: Saturday, October 8, 2011 at 4pm!